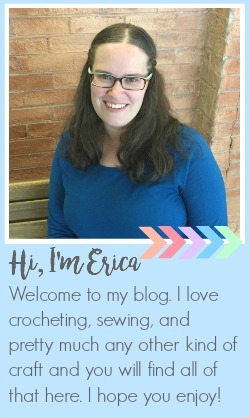 It is the first of the month again which means it is time for another Creative Craft Bloggers Challenge. 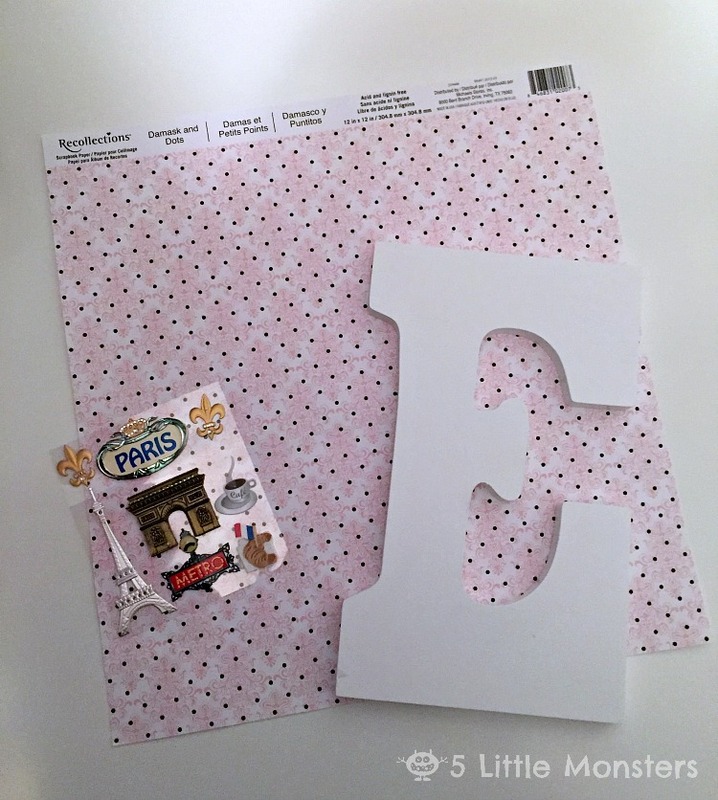 This month the theme of our challenge was scrapbook paper. That was an interesting challenge for me simply because I do not do a lot of paper crafts. My project isn't anything that hasn't been done before but it was something that I had been wanting to make and this was a perfect opportunity to make it. 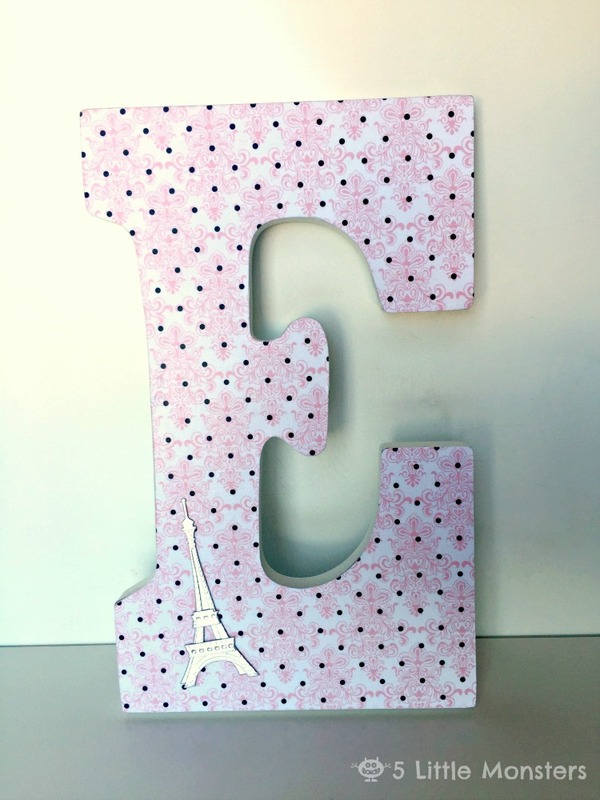 Like I shared in my post yesterday, I have a daughter who is obsessed with Paris and we are re-doing her bedroom soon. Her room will have a Paris theme using the colors light pink, black, white and silver. Part of what I want to do in her room is a sort of gallery wall with pictures and quotes. 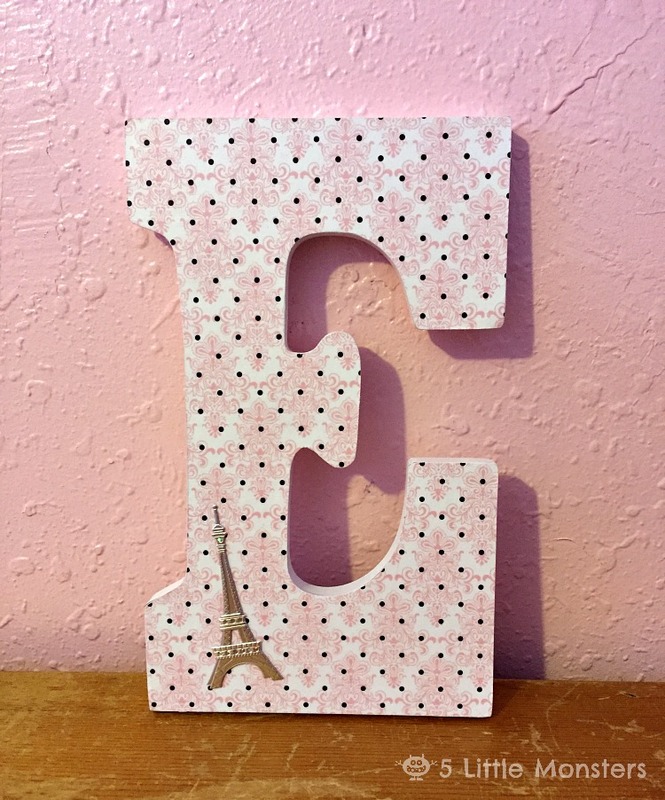 I thought an initial would be a good addition to her wall but I wanted to do something to make it match the Paris/France theme. 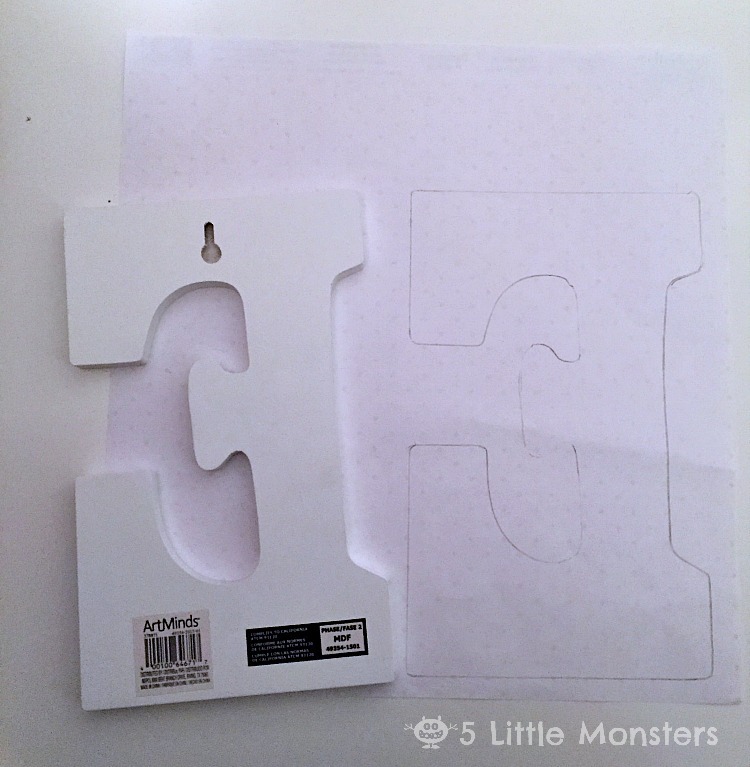 We went to Michael's and found a letter E. Then we went and looked through their single sheets of paper to find something that matched the theme. I found this paper that had a sort of pink damask print with black polka dots over the top. The colors were perfect and so was the print so we decided to get it. 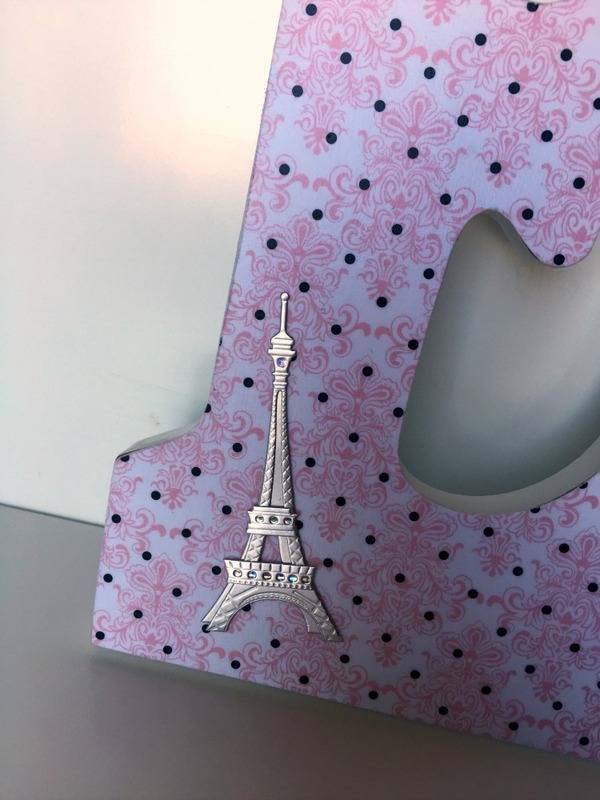 Then we found a set of Paris themed stickers that had a silver Eiffel Tower that we thought would be the perfect finishing touch. I already had Mod Podge and paintbrushes at home so picking up these few things I had everything I needed. It was a really quick and easy project and my daughter loves it so it I am happy with it. The pictures didn't turn out great but it looks really cute in real life. Trace the letter backwards on the back of the paper. Cut it out. Cover the front of the letter with Mod Podge. Place the paper cutout on top and smooth out any bubbles. Let dry. When dry use sandpaper around the edges of the letter to take off any overhanging paper. Then put a top coat of Mod Podge over the top of the letter. When that is dry add the sticker to the letter. 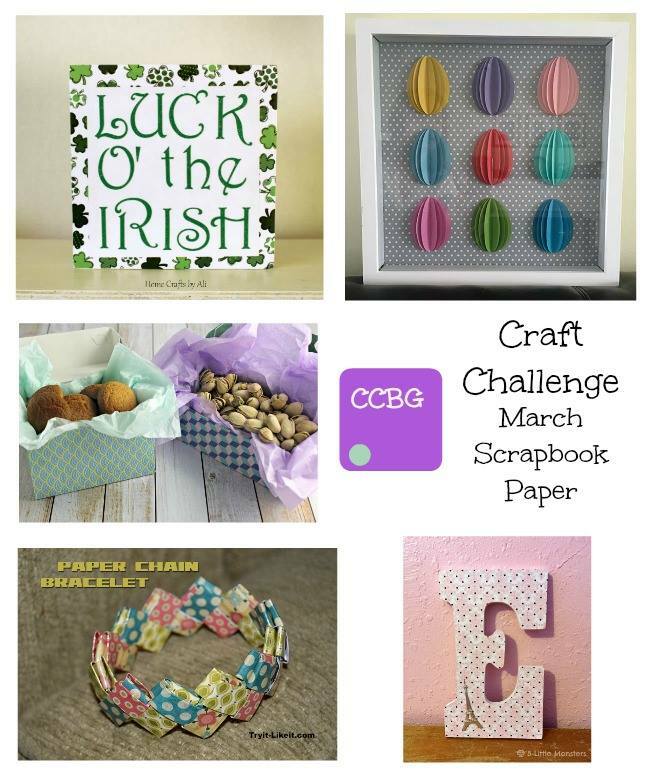 Don't forget to go and visit the other great projects that were in our monthly craft challenge! Those Paris stickers are perfect! Loved how it turned out. Oooh la la! Everything about the project is evocative of Paris, especially the paper. Love it!